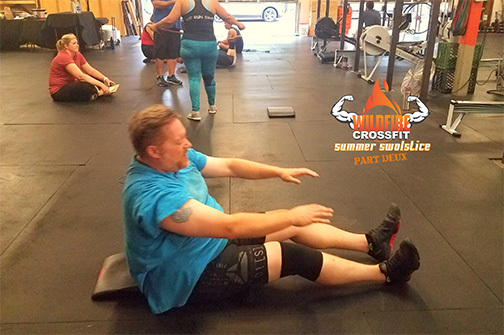 It’s been an awesome week at WildFire CrossFit. We have had some great workouts, and today, we have another great opportunity to see some new Personal Records with the Push Jerk. When we are programming, we make sure to space out the 1 Rep Max days with strength building sets so when the time comes, our athletes are ready to shine. And shine they do. 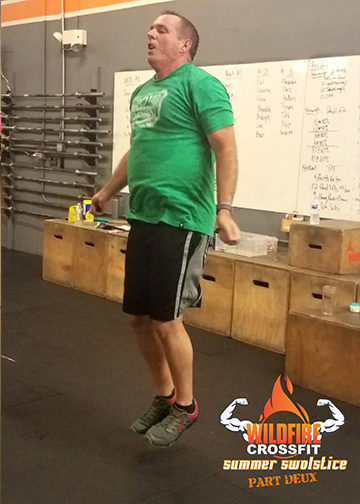 It’s awesome to see people’s form on point, and to see the strength that has been developed in a relatively short period of time. I had two people tell me today that they never thought they would be able to lift this much weight, and that’s music to my ears. To get a NEW Personal Record today, be sure to approach this lift with a plan. Know the weight you are going to hit. Visualize hitting it. Be sure to rest between sets, and once you are ready, MAKE IT HAPPEN! You have the ability to do GREAT things. Set your mind to it and go for it! After the Push Jerk, we combined two CrossFit Classics to bring you a fun and challenging workout that will be a great test for every fitness level, no matter how it is modified. Grace, in some way, shape, or form, has come up in both Regionals and The Games. The standard version is 30 Clean & Jerks for time. This is classic CrossFit in the fact that they combine Strength and Cardio. By the end of this workout both the muscles and lungs are burning. Annie, is a cardio burn and involves the skill of double unders (2 spins of the jump rope to each jump), an exercise that can challenge even the toughest athletes. The workout is reps of: 50-40-30-20-10 Double Unders & Sit Ups. Today, we put these two together, so you will complete half of Grace (15 Clean & Jerks), all of Annie, and then the other half of Grace. During the first half of Grace, work on cycling the barbell faster. Again, have a plan, such as: 5 Reps in a row, 5-10 seconds of rest, and then repeat 2 more time. You want to go fast, just hold it back a little so you can hit "Annie" hard. When you get to Annie, this one is all about the efficiency of your Jump Rope. Whether you are doing Doubles or Singles, going unbroken is going to help you get through it faster. During the sit ups, find a pace and stick with it. Remember, 60% of the workout is in the first two rounds (50's & 40's). By the time you reach the 2nd half of "Grace", go all out. There's only 15 reps left and weather you are 1 and dumping the bar or keeping your hands on it between reps, by this time, plan F is just to GO-GO-GO! It’s a good one to say the least and a workout you will be proud you completed, especially when it’s over 😊. 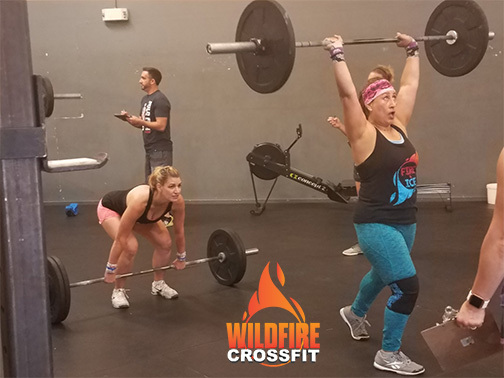 Get into WildFire CrossFit, get you PR on, and then have at the two ladies who will challenge you to be your best!